Gina Haspel, President Trump’s pick for C.I.A. director, faced the Senate Intelligence Committee for the first time on Wednesday as her confirmation hearings began. Lawmakers addressed her with an unusual line of questioning: What is your moral character? • Matthew Rosenberg joins us from Washington, where he covers intelligence and national security for The New York Times. 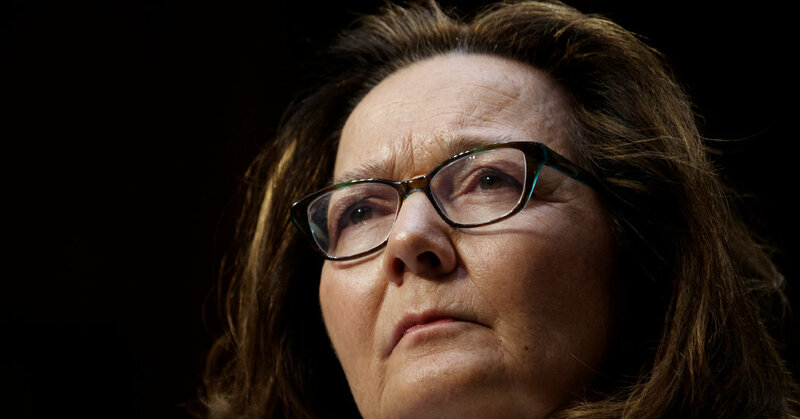 • Ms. Haspel defended the C.I.A.’s torture of terrorism suspects after the Sept. 11 attacks, but vowed that she would not start another interrogation program. • Among the issues raised in the hearing were Ms. Haspel’s involvement in a black site in Thailand where Qaeda suspects were tortured, her role in carrying out an order to destroy videotapes of C.I.A. interrogations, and her willingness to defy a president who has supported waterboarding. We’ve recently seen the head of the F.B.I. be ousted because he ostensibly wouldn’t take a loyalty oath and refused to close an investigation. Could this happen again? Could it be far worse? So the real question is: will Haspel stand up to Trump to prevent moral atrocities which Trump may want to inflict, whether this may extend to areas like torture or, perhaps, far worse?